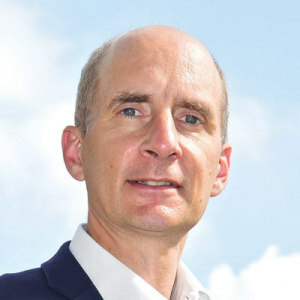 Andrew Adonis looks into the distance and chews carefully. He’s pondering a question about his childhood, a topic that inevitably begins profiles about most any person. But especially him. He takes his time. Waiters clatter around us. He chews, brings his gaze back, raises his eyebrows and shrugs. Placed into care after his father – a Greek Cypriot immigrant, then working as a waiter – was abandoned by his mother, Adonis lived in children’s homes throughout his early years. He did, however, remain in touch with his father. “My dad was absolutely clear all the time that it was education or nothing, in terms of being able to get on,” he says. And get on, he did. By the age of 30 he’d completed a PhD at Oxford University and was public policy correspondent at the Financial Times. At 40, he was head of Tony Blair’s policy unit in Downing Street. Two years later, he was made a life peer and became schools minister where his main role was to ensure momentum for Labour’s controversial academies plan, a policy for which he was primarily responsible. Looking at Adonis’ educational history it would be easy to believe he named the policy after his own ‘grand’ education. Aged11, and still living in care, Adonis was granted a place at Kingham Hill School, a private boarding school in Oxfordshire. It was, however, far less grandiose than the title suggests. “Very few went on to university from there, and indeed only about a third stayed on to sixth form. Most boys did get jobs, and the school did regard itself as under an obligation to help them to do so, which was quite unusual for schools in those days,” he says. At boarding school, Adonis threw himself into academic life, but also into cross-country running and debating. “I was very interested in politics at school and I was in the debating society. It was great fun”. Why fun? I ask. “I liked winning” he says. During his last year at school he applied to study at Oxford University. “The decision was sort of made for me by my headmaster, who had been at the college I went to. He told me I was more than capable of it and sent me along to see his former tutor,” says Adonis. Having secured a place at Keble College, he went on to gain a first class honours degree in modern history and completed a PhD thesis on the role of 19th century British elites. His time at Oxford would be of central importance in shaping his future political involvement in education. Excited by the new Social Democrat Party (SDP)created during his time as a student, Adonis stood for election as an SDP councillor — and won. In his role as councillor he became governor of a school, in Blackbird Leys, a large Oxford housing estate. “It was a pretty hair-raising experience. In one of the years I was governor, I think fewer than 10 out of 160 students got five good GCSEs, including English and maths. This was in Oxford. You had the world’s best universities, cheek by jowl next to the country’s most deprived and worst schools. It brought the contrast into very sharp relief,” he says. Governance at the school was particularly problematic. “I was one of 20 governors, with Oxfordshire County Council basically calling the shots. So it was more like a debating club than a governing body. We didn’t really govern the school. The key decisions were taken by the local authority and we made a marginal difference I think.” says Adonis. His experience as a school governor made him sympathetic to the idea of city technology colleges, a Conservative initiative introduced in the late 1980s, which gave greater autonomy to schools. His own incarnation of autonomy – academies – rested on the presumption that poorly performing schools should be removed from local authority oversight and allowed to operate as an independent, charitable organization, held to account by Ofsted. Opposition to the idea was always fierce, though in the early days (the first academy opened in London in 2002) when the policy focused on the very worst schools it was harder for people to argue the status quo was better. Nevertheless, many people argued the policy damaged local democracy and placed schools in the hands of unaccountable business people. Adonis, however, is adamant this is not the case. “I don’t actually accept that the role of local authorities in education is now a small one. It’s a very significant role if they choose to exercise the full range of their powers, both formal and informal,” he says. Why then is there such anger, I ask. “When dealing with deep-seated problems, like systematic failure of a large proportion of the comprehensive school system you are not going to be able to improve that without big change, and whatever big change you bring about is going to be very controversial,” he says. I push again on the reasons for anger, pointing out that the most vociferous complaints come from within the Labour Party. what’s happening on the ground”, he says, politely pushing back. Despite anger from his critics, it is undeniable the academies policy has caused large-scale change. Today, more than half of England’s secondary schools and more than 10 per cent of primaries have become academies. While Adonis was the instigator of this change, however, it was Michael Gove, the Coalition’s former Education Secretary, who pushed through rapid expansion, allowing good and outstanding schools to become academies as well as forcing poor schools to do so. But didn’t he say he liked debating? I ask. “I need to make a distinction between arguments and controversy. You can’t avoid, if you are engaged in politics, a number of arguments. Whether you want gratuitously to cause controversy is a different matter,” he replies. It’s an almost perfect answer, characteristic of the entire interview. Despite his critics, many of them from within his own party, it’s hard to conclude he is anything other than genuinely motivated to do good, even if his particular version of it doesn’t appeal to everyone. It sometimes seems like you come across very seriously, is there a frivolous side to your character? Have you done the ice bucket challenge? What was the best thing about your school days?